Last week, Globe and ABS-CBN inked partnership for delivering new brand, the third telco player 'ABS-CBN Mobile'. Reports say that on the second half of 2013, network-sharing will be pushed through. ABS-CBN Mobile, the third telco player? ABS-CBN Mobile is said to use the resources of Globe Telecom which is currently undergoing network upgrade on it's infrastruture. The target is to deliver exclusive contents of its vast collection of videos and other resources. Aside from ABS-CBN contents, it will offer traditional telecoms services on mobile devices. The purpose of the convergence is for the benefit of the netizens, social media active and rich content-hungry Filipinos. The rise of ABS-CBN Mobile is sure to have an appeal since ABS-CBN leads the television segment. Any campaign or promotion for Mobile platform can be easily imparted to its viewers. The technique of ABS-CBN for new network for mobile is cost-effective. They don't have to build new network infrastructure - just lease or take a portion of the existing Globe facilities if designed on that scenario or buy new routers, switches etc. and integrate with the network. 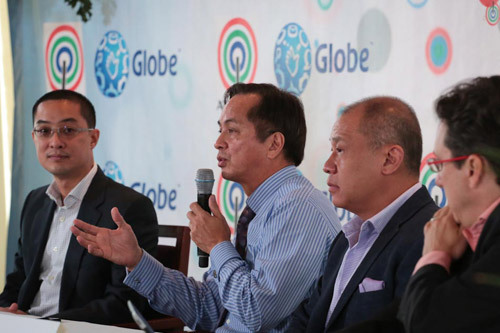 If the ABS-CBN contents are to be bundled with Globe postpaid and prepaid offering, the latter will intensify its dominance in the telco industry. It's a win-win situation for them. On the part of Globe, scarcity in the cellular frequencies can be resolved with the aid of ABS-CBN's Bayan Telecommunications . However, they have to take part of $130-million debt in October 2012 in exchange for the joint use frequencies. The question now lies in the readiness of Globe over-all network infrastructure to deliver high quality, HD, mobile TV or video on demand (VoD) contents with reliability and fast data connectivity. Yes, we're focused now on the high level contents since it's ABS-CBN trademark. The traditional voice and SMS only takes a small portion of the bandwidth, no doubt, it will not be a problem if ABS-CBN Mobile already integrated in the Globe network. As confirmed, the plan is for nationwide roll-out. However, network portion in the provinces are not yet super-charged to deliver streaming services and VoDs. The network for voice and SMS on our current state is different from the data network. ABS-CBN Mobile needs a data network or else they have to roll-out 3G/4G boxes nationwide to support this dream. Again, the plan is only feasible if all the transmission facilities can support large bandwidth or high speeds both for Globe and ABS-CBN Mobile. This is better if all facilities are already supported by fiber optic technology. What if there's a congestion in the Globe network, which will be prioritized - Globe or ABS-CBN Mobile? Being the expert, major decisions and handling is expected to be carried out by Globe and not ABS-CBN Mobile. What can you say about this deal? Are you excited to shift from Smart or Globe to use ABS-CBN mobile SIM for the video and other special contents?